With the launch of free iCloud on October 12th, it also meant the end of paid MobileMe. MobileMe was Apple’s paid version for having a @me.com e-mail address, folder online (iDisk), a gallery online, some synchronization between Mac apps etc. It came at a fee of around €79 a year (if I remember correctly). For some of us, it didn’t mean a lot to pay that fee, cause we got a service that just worked and was well integrated with Mac OS X and iOS devices, even though you could get each individual service for free elsewhere, such as Google Calendar for synchronizing your calendar between iCal and iPhone. 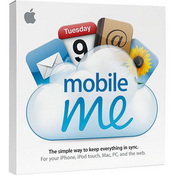 If you’re a paid MobileMe subscriber, Apple would have extended your subscription for free until June 2012, at which MobileMe will be shutting down and your Gallery, iDisk and iWeb will be gone – so be sure to have your data backed up before then. iDisk and Gallery are probably the most-used features of MobileMe that most people will be missing. I enjoyed how easy it was to share an album from Aperture or iPhoto via MobileMe Gallery. What alternative do we have to MobileMe Gallery and iDisk? So far, the best and easiest (and cheapest – free!) alternative I’ve found, is Dropbox. UPDATE – April 2012: Dropbox has increased the “extra” storage space from previous 250MB to 500MB, so if you sign-up using any of the links provided below, you will get an extra 500MB space for free! A free Dropbox account will give you 2GB of storage and offers 250MB 500MB extra if you complete 5 out of 7 “getting started” quests they offer – which are really easy, it’s just installing the app, uploading a file, sharing a folder etc. Stuff like that. On top of that, you also get another 250MB free if you signup for a free Dropbox account by clicking here. So by now, you should be able to have over 2,5GB free storage in the cloud for files (iDisk alternative) and photos (Gallery alternative). If you want more space than that, you can ask your friends to signup as well – each of you get an extra 250MB 500MB. You can earn up to 8GB 16GB in “referral space”, giving you a total of 10GB 18GB free storage at Dropbox. If that’s not enough, you can pay to upgrade to either 50GB or 100GB, which should be plenty for most people. What’s good about Dropbox is how easy it is to use. Just download the app and run it – this will create a “Dropbox” folder in your Mac’s home folder (or where you place it). Everything in that folder is automatically synced to Dropbox – and you can pull the files from your iPhone also. Dropbox offers a free app for both iPhone and Android. Your local Dropbox folder contains both a Public folder, for sharing files with the public, and a Photos folder, in which you can create albums and share them with friends/family etc. MobileMe Galleries were quite simple. You couldn’t have people commenting etc., it was just a basic gallery – but it was fast and easy to use. Dropbox galleries are pretty much the same, except you don’t have the same tight integration with, say, Aperture 3. Sharing photos on Dropbox, I’d just go into Aperture 3 and export the photos to a subfolder within my “Photos” folder in “Dropbox”, and that’s it – automatically synced to Dropbox. Then you can send the link afterwards to whoever you want to show off your album to. If you want more gallery features, you probably need to start learning how to use the Flickr integration in Aperture 3, or perhaps go with Facebook, if you need an even bigger community-part of photo albums. But my guess is, if you’re looking for a MobileMe Gallery alternative, the Dropbox Photos is going to be helpful to you – at least until something else comes along, offering tighter Aperture 3 integration. Besides using Dropbox as an iDisk alternative or MobileMe Gallery alternative, you can also use it as a backup – it even has versions and is able to restore deleted files. Actually, I’ve also read of someone syncing their entire Mac home user folder to Dropbox – as a way of always having an up-to-date backup and being able to restore your files from everywhere. I’ve been using Dropbox for quite sometime. It’s really easy to use and very reliable. It’s true that you don’t have to make some tweaks in order for it to work. You just have to install it. I don’t have any idea about this but drop box can be very important specially in file sharing. you can use this for back up files. iDisk is part of MobileMe which is shutting down next summer – which is the whole point of finding an alternative 🙂 So wouldn’t be much point in signing up for MobileMe now – actually, I don’t think they even accept new customers any more. I understand what you mean, but consider what happens if a thief pays you a visit and steals your computer and external drive? Or a fire burns down your house – or some other disaster, like flooding etc. I think it’s important to have an off-site backup of your important data – just make sure it’s encrypted with a key only you knows, then nobody can read your data anyway. The thing I appreciated about the MobileMe gallery was its ability to stop people from right-clicking and downloading images … of course, there are ways around that, but I appreciated the extra roadblock that MobileMe put up against wannabe picture pirates. Although I am a bit biased — I have to say http://www.OpenDrive.com is a great alternative as well. We offer amazing features and support — give us a try for free. I must say Drop Box is one of best source to save your docs online.. I am really enjoying it. Save my docs in my office online and can easily retrieve them at my home to work at home also.. Thanks to you tech patio.